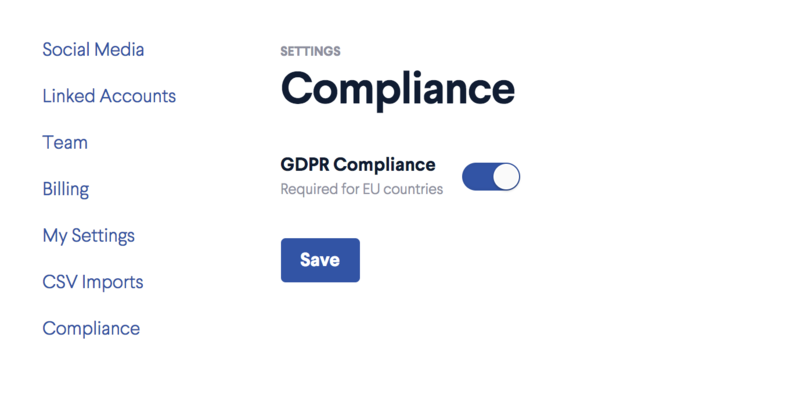 The BOMA product has a number of features to compliment GDPR compliance. Firstly, if you are based in a European country (EAA specifically) we've enabled your GDPR Compliance setting for you in your Compliance Settings. 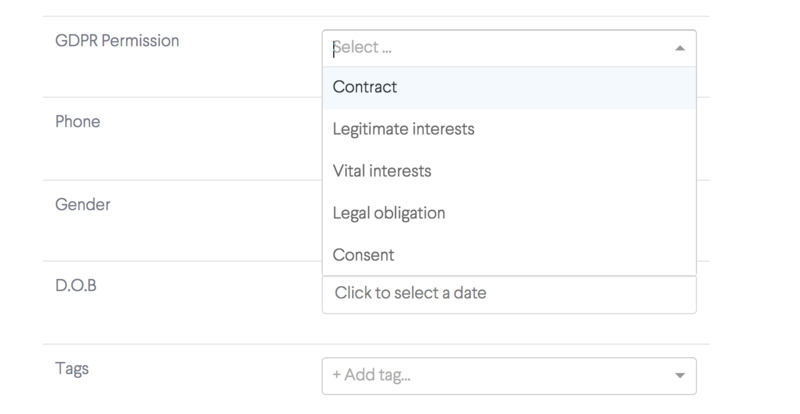 To set GDPR permission (how you gained permission to contact them) for each of your contacts, you can edit the compliance setting within each contact, or you can select multiple contacts and apply a setting to all of them at once. Here you can see GDPR permission dropdown menu present on each contact's profile page. You can also select multiple contacts at once from the contacts page, then apply a bulk action GDPR Permission to all of them. Lastly, if you have GDPR compliance turned on it will effect which contacts will be included in your campaigns. When you define your audience in an email campaign, any contacts who do not have a compliance setting will be excluded automatically. To ensure they are included, make sure each contact has a permission assigned.